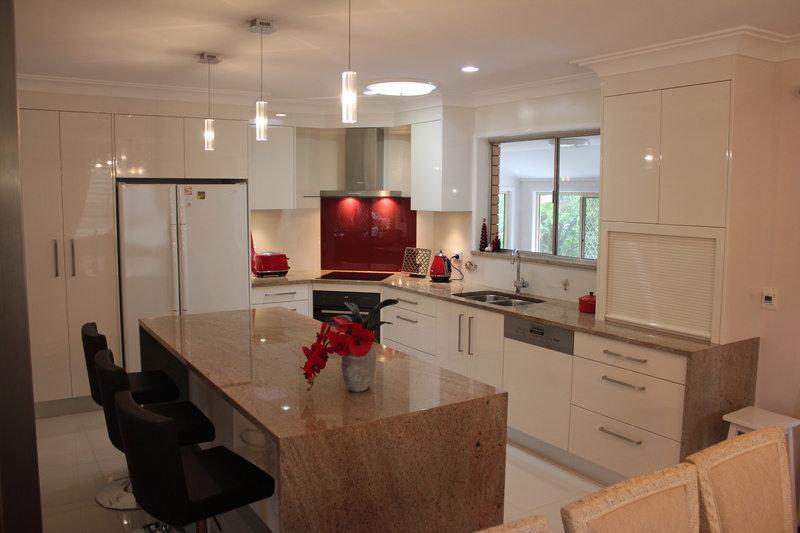 The original retro kitchen of the Hawkins Mansfield home was in a separate room disconnected from the dining and living room, so it was decided early on in the kitchen design process that the original kitchen area should have the walls removed to open up the space and the new kitchen to be open plan with an island bench accessible from all sides. 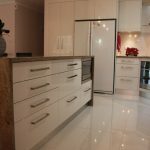 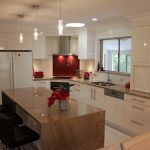 Contemporary high gloss 2 pack polyurethane finished doors were selected with a bold feature colour in the glass splashback giving a hint of the original retro kitchen. 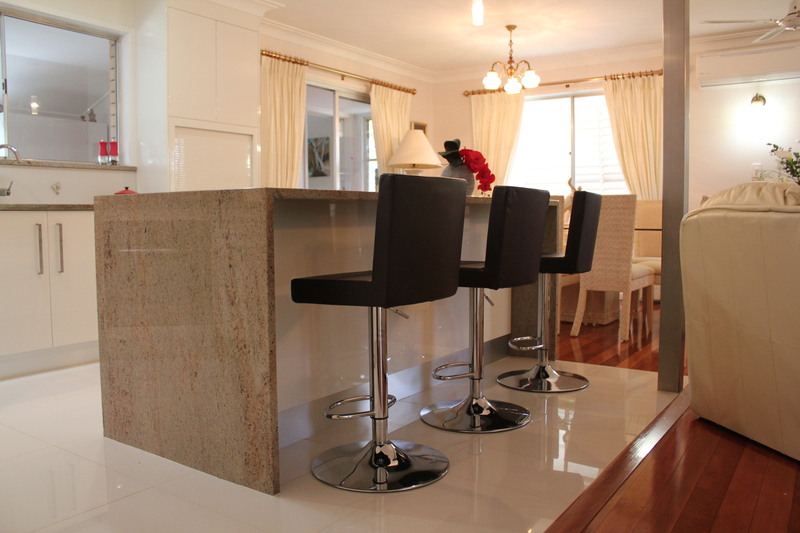 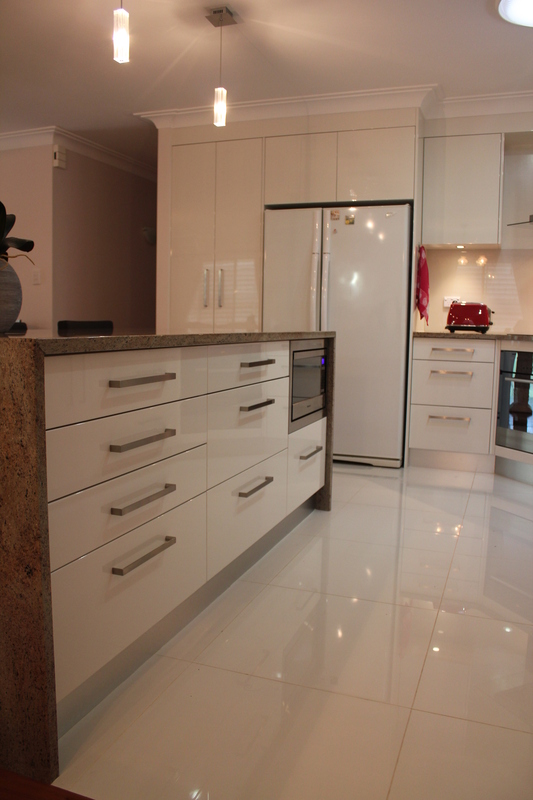 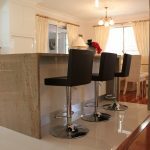 Giblee natural granite benchtops gave the kitchen extra warmth and texture.